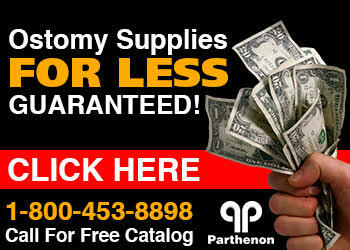 The Parthenon Company Blog - Specialists in Wound and Ostomy Supplies: Something New for 2017! The Wound Ostomy Continence Nurses society has announced that they have partnered with Hollister, manufacturer of various ostomy appliances and accessories, to develop a tool to measure peristomal skin health. Peristomal skin is the skin around your stoma and it can influence greatly how long your appliance wear time is as well as what extra accessories you use. It is so important to keep the skin around your stoma in as good condition as possible. One of the most common problems ostomates experience is stomal output contacting the skin from a leak in the barrier. Probably the first thing you should do for this is to contact your WOC nurse to assess the fit of your appliance. This new electronic guide to assess peristomal skin health will function across mobile devices and allow your nurse to make a quick assessment of your skin using only 4 questions! No more information on this now, but we will keep you posted as it becomes available. Most ostomates use "stoma powder" or "stoma paste" to help reduce the incidence of leaks with their appliance. Check out these popular ones!